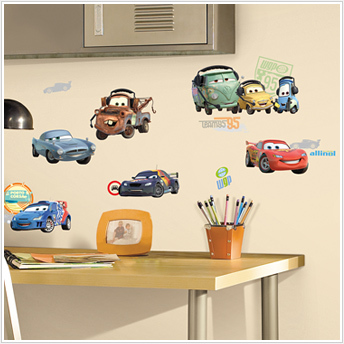 Bring the excitement of Disney/Pixar's Cars 2 into any racing fan's room with these removable and repositionable wall decals. 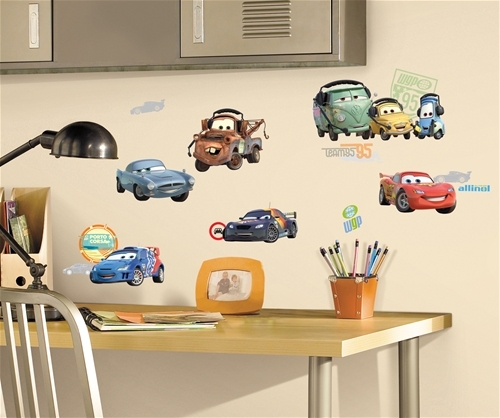 Featuring characters like Lightning McQueen, Mater, Finn McMissile, and many more, these stickers are the perfect way to relive your favorite moments from the movie... right on your walls! Apply the decals to any smooth surface: walls, furniture, ceilings, windows, doors, and so much more. Pairs perfectly with our giant Lightning McQueen and Mater decals, or any of our Cars wallpaper selections.